NEW Show Us Your Jailbroken/Modified Lockscreen! I feel like it's been forever since we had a good old-fashioned lockscreen threadso let's have a new one. 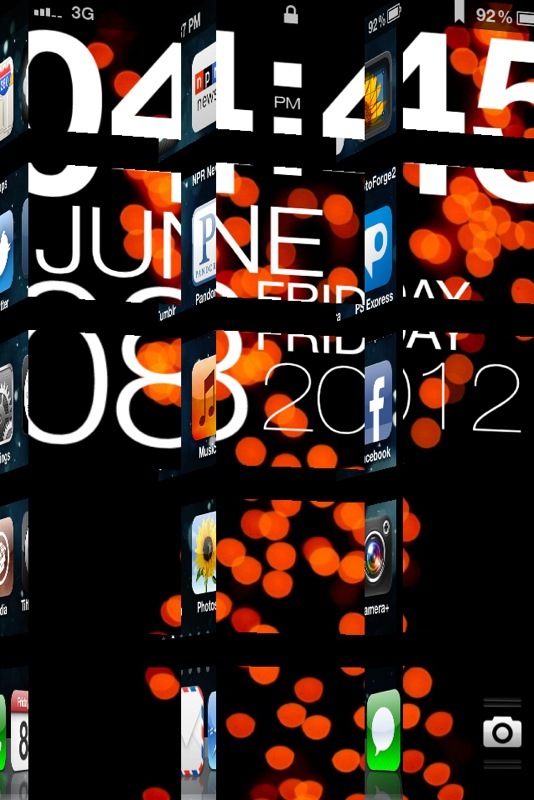 Here's a recent screenshot of mine captured mid-unlock; it's a combination of Typophone 4, a custom slider, and the Paradigm effect of the Unlockize tweak. What does YOUR lockscreen look like? If you can, tell us about any themes, tweaks, or wallpapers that make it special, and where we can find them. Go! Edit: I've retitled this to reflect the fact that we're looking for non-stock lockscreens...what crazy jailbreak tweaks and themes are you running? Last edited by Massie; 09-27-2012 at 05:26 PM. pkcable and w00dy like this. Do you find that your phone makes choking noises all day long??? I tried a Lebron lockscreen on my phone, but I could never get it to ring. Kidding! I think this is his year. rosenstar and ibanana like this. My lockscreen... VERY VERY PLAIN!!! GPAbsinthe and iVazz like this. Send me a pm on how you set it up. I like it a lot. Also, send it with that wallpaper. Plz?! Here's my lock screen, nothing special. Took this a couple weeks ago at PNC Park (and edited it with Snap Seed). What filter did you use to get it to look like that? I actually just took a regular picture with my iPhone camera (no filter) then imported it into Snapseed. This was a couple of weeks ago, but I think I used saturation, contrast and ambience. If you don't have Snapseed, keep an eye on it. The developers periodically put it up as a free download. Look under the Tune Image setting. Pick that then swipe up/down for options. Ain't he cute!! lol That's my boy! Here is my Lockscreen, Mid-Unlock-Unfold. You even get a sneak peak at my Springboard! 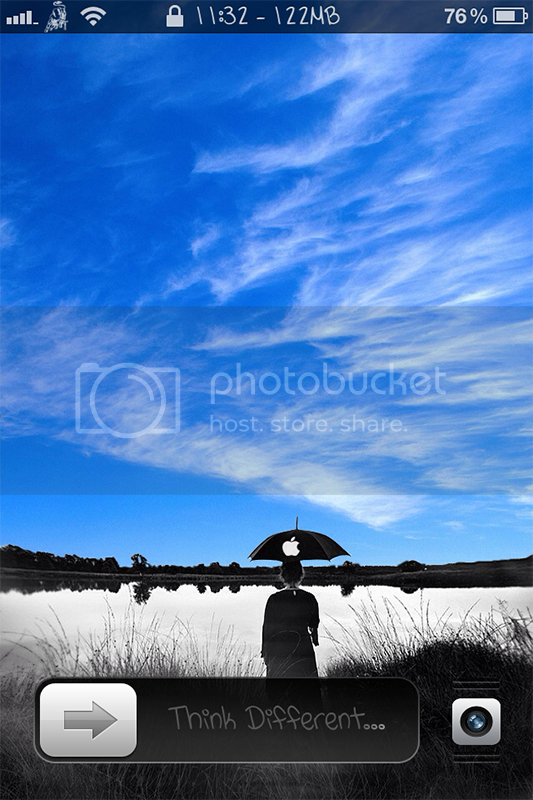 Last edited by Matlock; 06-22-2012 at 08:23 AM. I like this, I use cardboard cut out too. Thank you for unfold! That's so freakin sweet, I love it! I got blisters on me fingers! from using Tapatalk. ***DISREGARD*** I should have looked before asking...found it on Cydia. What LS is the iPhone? I like the time, date, and weather layout. Thanks. Here is my locksreen. My little girl after an afternoon nap. Drooling all over the place. Last edited by Gary86; 06-24-2012 at 11:26 AM.